ZIPAFILE Handle Bag. 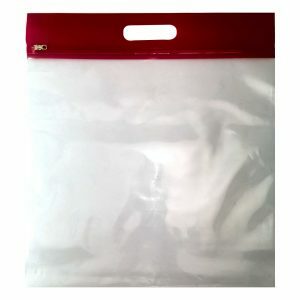 Convenient 5 MIL storage bags useful for classrooms, hobbies, crafts, collections and more. Two sizes and various colors available. This item comes packed in bundles of 25 without retail display packaging. This item can be custom printed and sized to promote your business or product. Minimum for custom printing is 500 bags. Please contact us for more information.